Please also visit the page on Training and it's importance. They are the most handsome of dogs, and are loyal as your shadow. They are not fussy eaters. They have a short easy to care for coat that is nearly odorless, making them easily groomed. They are generally easily house trained, and quiet in the home. They will keep your yard, pest free from rabbits, squirrels and chipmunks. They will protect you from what they perceive as a threat, but will not bark obnoxiously at nothing. They will ask to come up on the couch, and will take over your bed. They make great foot warmers on those cold nights. Puppies Grow into Big Dogs! 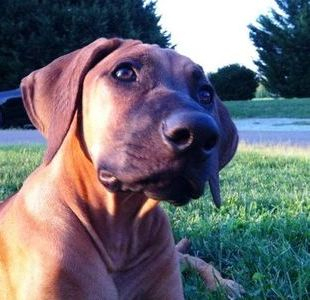 Rhodesian Ridgeback puppies are cute, but remember they quickly grow into BIG dogs, ranging from 65 to 100lbs+. Owning a Ridgeback should not be taken lightly, and you can expect the Rhodesian Ridgeback to live upwards of 10+ years. By the time your puppy is 8-10 months old, he will have reached adult size... however he will continue to fill out. He looks like a dog, but is a puppy stuck in an adult body. If he doesn't receive adequate training as a puppy, he will be out of control by 8 months. Be prepared to attend a basic puppy obedience class with your new puppy. This is the quickest and easiest way to bond with your new pup, and to set the rules straight. Ridgebacks can be very hard-headed, and having the knowledge of how to communicate with your puppy at an early age will help you later when he starts to rebel. Socialization is the key for a stable, even tempered, Ridgeback puppy to grow into a well behaved adult dog. You should be introducing your pup to new and different things every day. The old phrase goes, that your pup should be introduced to 3 new places, and 3 new people, every week. 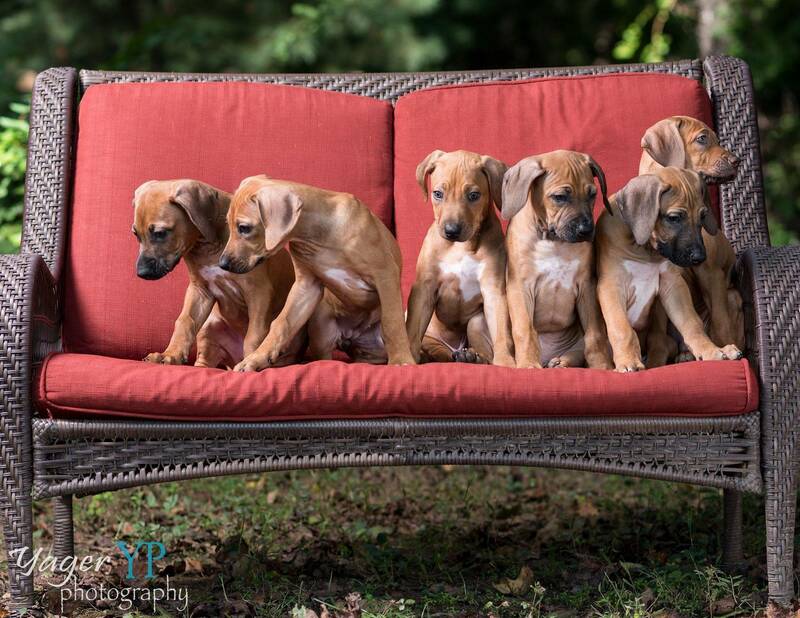 You think you want a Ridgeback puppy? Can you provide without question the following? Attain your puppy's AKC Canine Good Citizen Certificate or Puppy S.T.A.R.